The session on ad blocking brought together representatives from various sides of the issue (publisher, agency, advertiser, etc) to briefly discuss how they view the topic and how they think it will develop over the next few years. "I have a personal stake in this, working for Trinity Mirror," said moderator Piers North (pictured), Strategy Director, Trinity Mirror Solutions. "As we speak, there are tens of thousands of people coming into our properties and consuming our content, and there is no value exchanged. Absolutely none. They are coming into my house, they are opening my fridge, they're taking my food ... Now, should I be worried about that? Can I do anything about it? Is it worth me doing anything about it?" 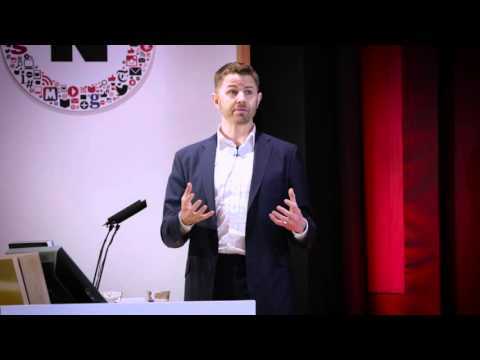 Steve Chester, Director of Data and Industry Programmes, IAB UK, described ad blocking as "an accelerator for change." However, he added that in part, these are changes that have already started occuring, such as the way UK-based publishers have largely stopped using pop-up ads. Chester also stressed the need for "giving people a choice at the point of access, saying to them, 'You can come into this property. You have a range of choices [of value exchange ].'" He said those choices could include: "You can pay for this content, it might be just accept the ad experience - but it will be a better ad experience. Or it might be some other form of payment, like micro-payments or perhaps even a survey in exchange for content, but giving them a choice and allowing them to take control because at the moment, they do not have that choice." "Where do I think it's going to be in five years? I think ad blocking will exist. It will continue to exist, but it will be on the fringes because we'll have got our house in order, and we'll be delivering a great ad experience and giving people choice," Chester said.